Nothing says summer more than a pair flip flops on the beach. And nothing says more about your style than a beautiful handmade leather pair from Mykonos Sandals. 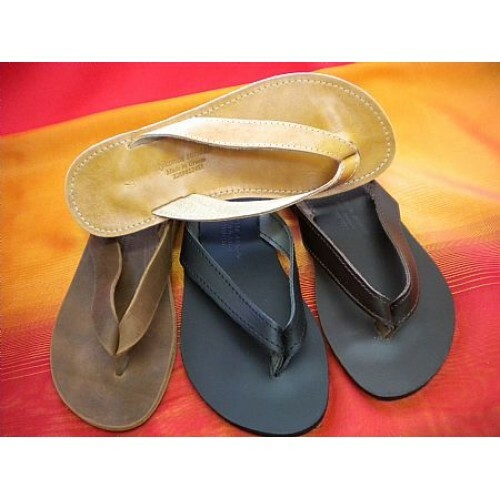 Available in Natural, Black, Brown and Oiled leather they can stand the knocks of the sand and salt because they are made of skin the same as you are. Just don't saturate them and then leave them in full hot sun or like you they won't look quite as youthful afterwards. But they will last longer, look better and more stylish than any pair of plastic flip flops.